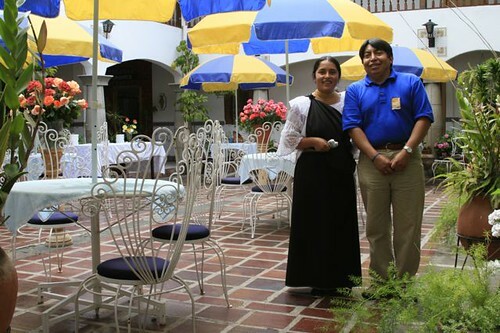 Hotel Tierra del Sol (formerly Meson de las Flores) is our center for Ecuador Living in Cotacachi. 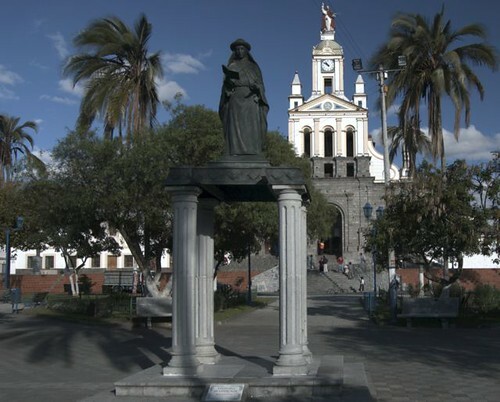 The hotel was donated to Land of the Sun Foundation by Gary & Merri Scott, Joe Cox and Dr. Joe Spano to help promote the economy of Cotacachi and Ecuador. 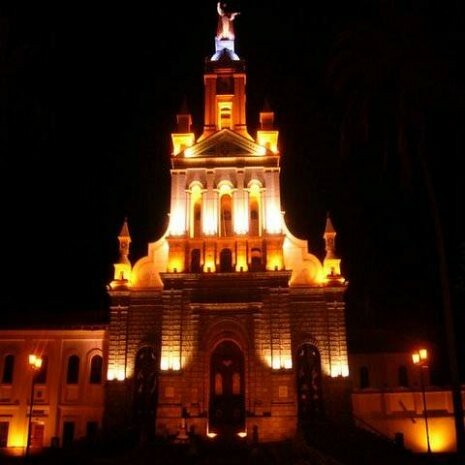 All profits from the hotel are used to provide scholarships to youth in Ecuador. Ecuador Living subscribers are entitled to one free night the first time they visit Cotacachi and stay four nights or more at the hotel. There are many other benefits to staying at Tierra del Sol in Cotacachi. Plus a warm, welcoming, caring staff wo really do want to look after you. Room rates at Tierra del Sol in Cotacachi are only $59 a night plus 22% service and tax. 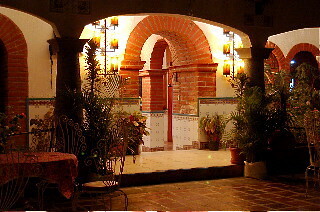 Hotel Tierra del Sol by night.